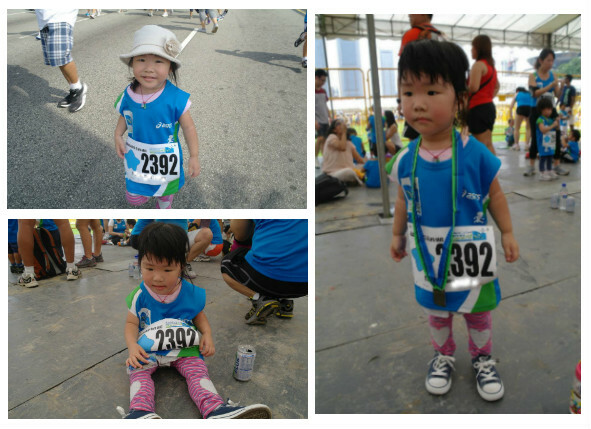 Race Review: Standard Chartered Marathon Singapore 2016 [Kids Dash] | JustRunLah! This year is the third time I signed up my daughter for the dash. She first joined in year 2011 when she was only 2, and subsequent year when she was 3. 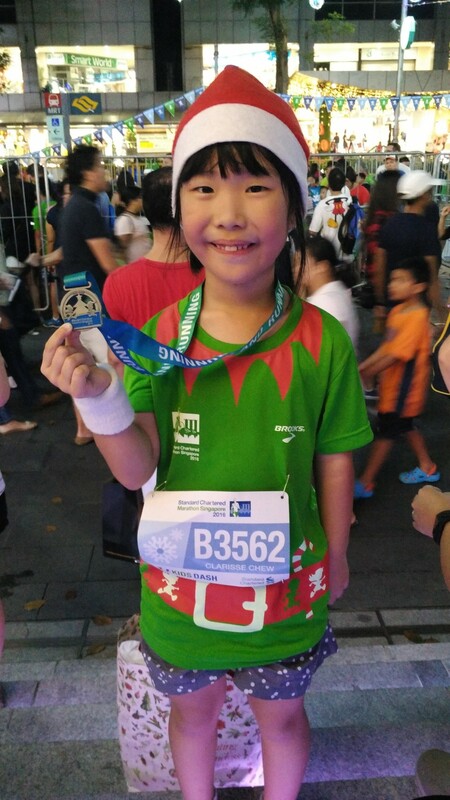 But this year, I decided to sign her up again because location has been changed to Orchard Road and run in the evening under the beautiful Christmas lights! It’s much nearer to home and no hot sun! Yay!! The T-shirt this year is of Christmas theme and little elf design. The race pack also comes with a wristband and a Christmas hat. My daughter was in the 7 – 9 years old category. We reached Orchard Road quite early that day to shop around before heading to the Kids Dash area. Though no hot sun, but the weather was very warm and humid. I sweat a lot just by standing near the carnival and holding area. At the carnival, every game station and bouncy castle was crowded so my daughter didn’t get to play any. We were just sitting around waiting for her flag off time. Flag off for 7 – 9 years category was 7.45PM so we had to give her some food before that, she ate some bread before her run. Her dad accompanied her to the kids holding area at around 7PM and luckily they were not too far off and were quite in front of the starting line. 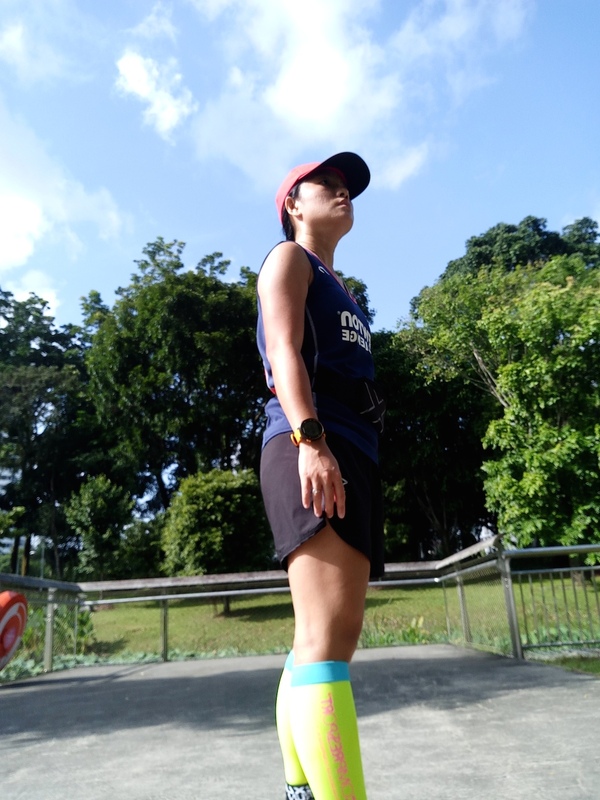 The organiser advised to drop off the kids and see them at the parents viewing area but her dad was worried about her and decided to run with her and I saw many other parents were also running with their 7 – 9 years old. In my opinion, 7 years old still need to be accompanied by parent especially my girl was all alone, no friends to run with her. 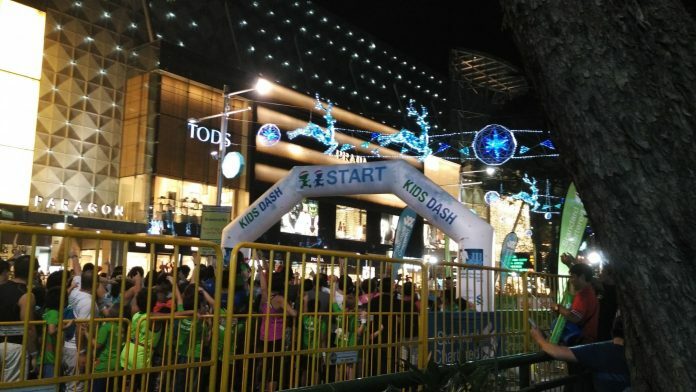 I think the organiser made a good decision to have the Kids Dash on Saturday evening at Orchard road so that kids can soak in the Christmas atmosphere and do not need to run under the blazing sun. 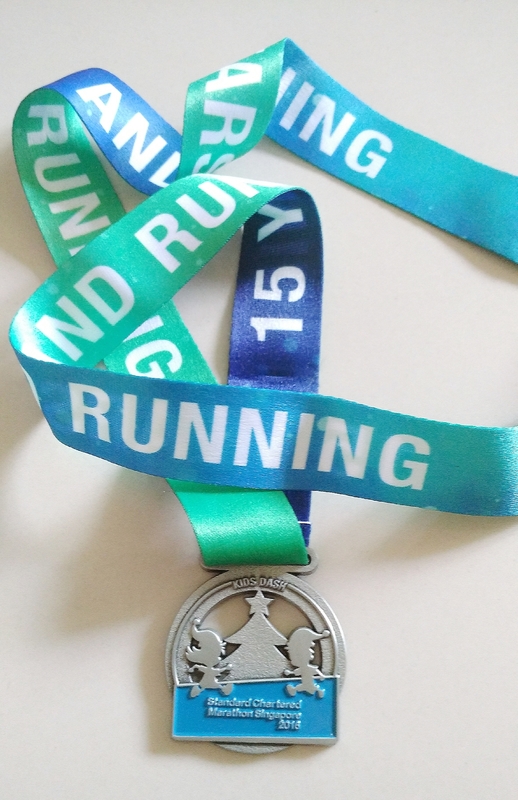 It’s also easy for parents who are taking part in the marathon in the next day morning because they don’t have to rush here and there bringing children around in the morning after their own race. 🙂 I didn’t join the race, no fate with SCMS I guess. Next year maybe!